So it’s 2018 and you probably know several people out there making it in the freshly-dubbed “Gig Economy”: Freelancers, as they’re also known. Until this point, freelancers have carried the reputation as specialists, hired hands brought on board to cut a task with an end date in sight. If one were to picture a freelancer, they’d look like the person at the office who doesn’t appear to fit in: the shaggy artist-type with portfolio in hand, the stern executive-type dropping by to whip everything into shape, or the lazy college-aged kid spiffing up the social media pages while spilling Kombucha all over the place. Well, it’s time to change your perceptions of what a freelancer can be, because today’s Gig Economy is packed with some of the most talented, creative, and influential individuals who can add a spark to your company or content. From a company’s standpoint, building your network of freelancers can not only cut costs, but also widen your range of services to cover grounds you didn’t even know you were capable of. Having a company for 15 years and building a network of freelancers along the way, we’ve had to connect and collaborate with companies similar to us. This ultimately has taken us into a lot of different markets around the country. Building solid contacts in this industry doesn’t have to end once you leave your headquarters. Around the country, there are 3-4 production companies similar in size to us and I can’t stress how beneficial it’s been staying in touch with them, and putting our heads together to build a nationwide freelance network. 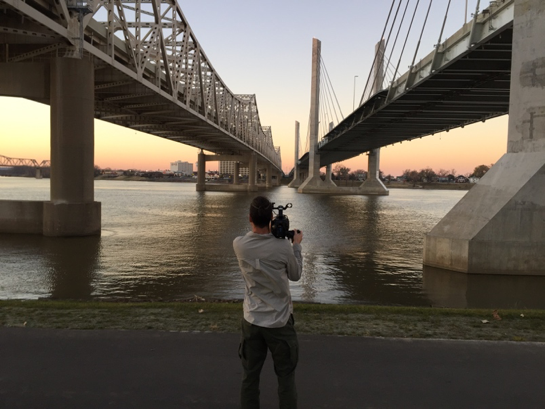 I got a call from my Florida guy today asking about SF video production personnel, and I happen to be there working with local crew next week and knew great options to provide…We use this network to cover the entire country, We’ve got a Tulsa shoot, can we get an audio person there, etc…? With experience, you become very adept at knowing just what you’re looking for. Whether it’s a freelancer who is affordable and efficient, or one who is top-tier and niche, it’s essential to have a freelance roster with depth. 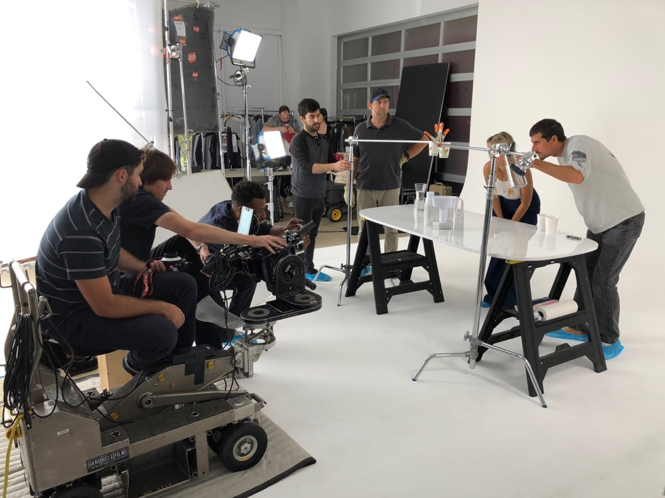 By depth we mean different skillsets: Everything from a food stylist to visual effects people to hair and makeup personnel, but we also mean having these people at different price ranges so we can cater the video production crew to the budget the client has allocated. 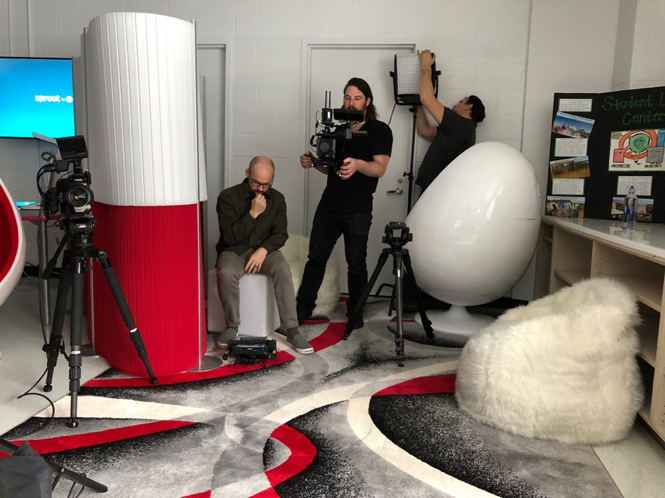 It’s never good enough to be working with just one choice; for example, we have 10 Audio Op choices in NYC alone, as well as many choices in other major markets, because you never know who will be available at any given moment. As mentioned, we have a network of freelancers at different price points, freelancers who work with different gear or software. When building our network, we take all of this into consideration. “We’re not a niche company. To many companies, the affordability of working with freelancers is the most attractive component: no paid leave, holiday, benefits, etc. Beyond budgetary freedoms, we’ve relished the opportunity that our network of freelancers have given us to extend the reach of our video services. A lot of times that means we’re capable of taking on very niche assignments. We might take on a project for a company that wants the best Food Stylist, Wardrobe Specialists, Animators, Drone Ops, Jibs etc. Sometimes you just need lighting guys, muscle guys, PAs who know when to get coffee and how to act professionally. There are so many different types of productions, all needing special types of video crews. There’s no way you can staff all these people, but if you want to be a successful company and service any video production request, you need a vast and diverse network of freelancers and that’s something we pride ourselves on here at ASL. So contact us today for your production, in any city, any time, any special service, and we have you covered.